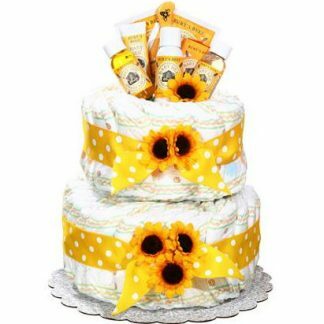 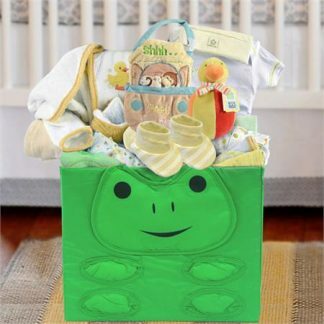 Celebrate the joy of a new baby boy and share the good news! 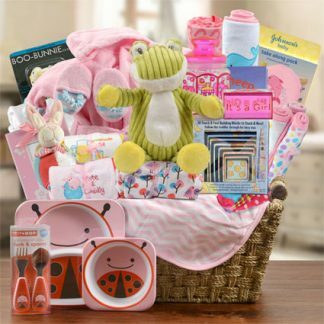 Our cuddly white stork nests happily in a white woven basket surrounded by goodies! 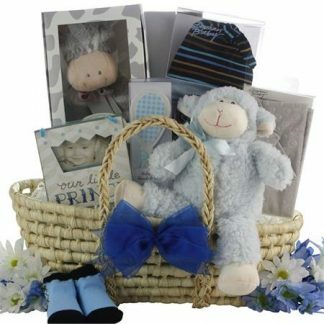 There is a six piece gift set for baby that includes a baby vest, baby bib, embroidered cap, printed mittens, baby washcloth, and a brush and comb set. 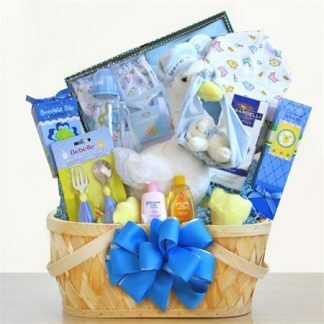 There is also a baby bottle, baby fork and spoon, Johnson & Johnson baby lotion, shampoo and baby powder. 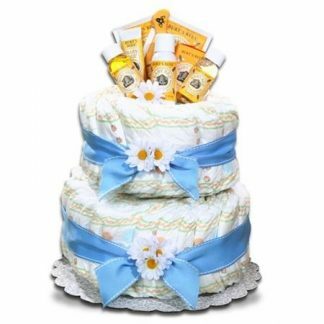 Mom deserves lots of TLC too, and her delicious treats include chocolate covered blueberries, a bag of Ghirardelli chocolate squares and “Welcome Baby” cookies.